Do you ever find yourself feeling jealous of someone who’s achieved something you’re striving for but haven’t reached yet? I sure have, and it’s not a great feeling. 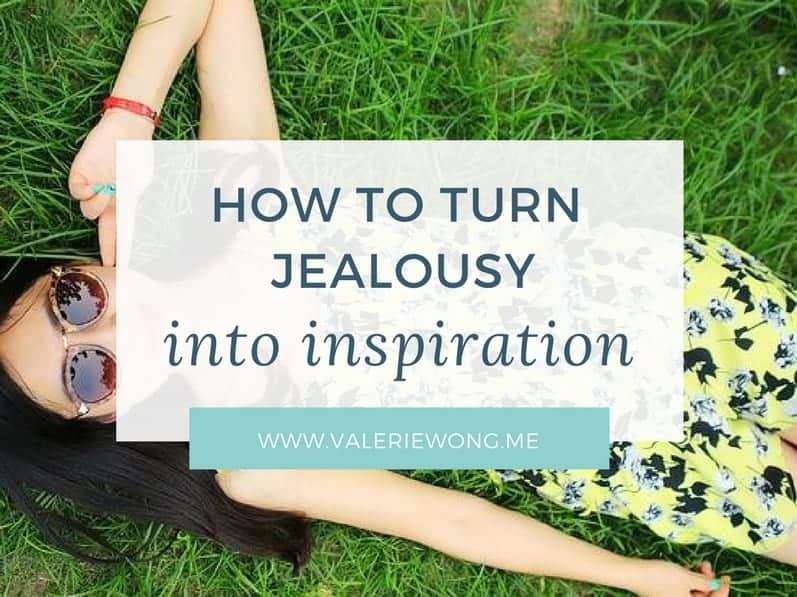 But the good news is, you can actually turn jealousy into inspiration. 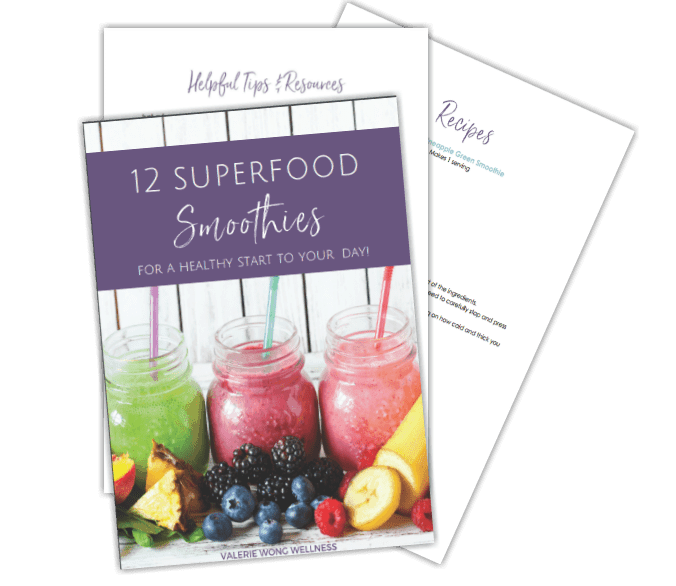 In this post, I talk about how I’ve made this work for me — it can work for you, too! Because inspired feels so much better than jealous! I think we probably all have triggers when it comes to jealousy — I know I do. These triggers usually revolve around the things we really, really, REALLY want but haven’t achieved yet or that feel out of our reach. Well, they’ve changed over the years during different phases of my life, but currently mine is to quit my j-o-b to run my business full-time. I hear people say this on interviews more often than you might think. And it makes me want to punch them in the face. Okay, not literally, but you know what I mean. Here I am killing myself to build my business and I’m focused and determined and working SO hard to make my dream a reality. And my dream basically just fell into this person’s lap when it wasn’t even something she was trying to make happen or even really wanted. I am super jealous of that and it makes me angry . . . and discouraged . . . and frustrated . . . and resentful. Choice 1: I can keep focusing on those negative feelings of resentment and jealousy. I can let it make me spiral into self-doubt and question whether it will ever happen for me. This is definitely the easier path, but where does it get me? Well, feeling unmotivated and unworthy for starters. And it means I’m putting a lot of negative energy and vibes out into the universe. And personally, I believe that the Universe reflects back into our lives what we put out, so it will just bring more negativity and unhappy feelings back into my life. Basically the opposite of anything that would be helpful and productive. Or, I can go with . . . Choice 2: I can take a deep breath, acknowledge my negative feelings, and then make the conscious effort to release them. In my mind, I can wish this person well in her business endeavors. I think there are seeds of admiration and respect in all jealousy, so I can choose to focus on THAT. I can choose to admire and respect this person for what she’s created and accomplished (regardless of whether that was her plan or how easily it came to her). And I can then choose to be INSPIRED by it instead of jealous of it. I can make an effort to LEARN from her by observing what she’s done and is doing. I can choose to feel ENCOURAGED instead of discouraged, knowing that if she can do it, then I can, too! I know the second choice is easier said than done. It’s not the easiest thing to go from wanting to punch someone in the face (figuratively) to sending her mental well wishes (believe me, I KNOW). But the end results are so worth the effort . . .
You’ll feel better, you’ll be putting positive energy out into the Universe and attracting it back into your life, and you’ll feel inspired and motivated to keep striving for what you’re trying to achieve. So now you know what brings out the green-eyed monster in me. 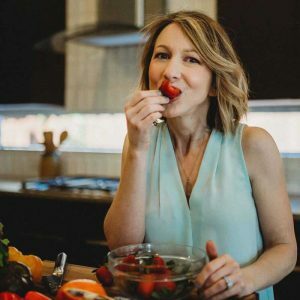 If you’ve been struggling to lose weight, it could be that person who can eat everything they want and never gain weight. Or if you’re really ready to be in a committed relationship but all your dates turn out to be frogs, it could be that person who’s in an amazing relationship with someone who just seems perfect (and of course, they probably met completely by chance when she wasn’t even looking to meet someone). My point is, we all have something. And while I’m not proud of the fact that I get jealous of other people, I can feel good about myself when I deal with that jealousy in a healthy and productive way. And you can, too! And in the spirit of keeping it real here, please know that I have not mastered this . . . I still have my moments of ugly jealousy. It’s not always pretty, but it’s a work in progress! Abundance! It can be so hard to remember sometimes, but so freeing when you do. Thanks for the shoutout, Valerie! So true — thanks, Alyssa!